Our range of products include 304 l stainless steel coil and 316 l stainless steel coil. Our main products are SS Sheet , stainless steel sheet, stainless steel circle, stainless steel etched Material includes grades 202,202 L,304,304 G ,316 , 316L etc. we can provide surface treatment such as super mirror finish. Our main products are 316 L Stainless Steel Coil , stainless steel sheet, stainless steel circle, stainless steel etched Material includes grades 202,202 L,304,304 G ,316 , 316L etc. we can provide surface treatment such as super mirror finish. 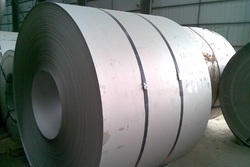 Looking for 304L Stainless Steel Coils ?